As the year rolls to a close I like to take a look back at the projects I’ve worked on over the year. On the work front it has been a busy year which has been amplified by relocating from St Louis to Chicago. Moving is such hard work but I am loving Chicago! Websites have dominated the work load over the last 12 months but we have had a fair number of logo and branding projects too. December: Solon Gershman, nearing completion! 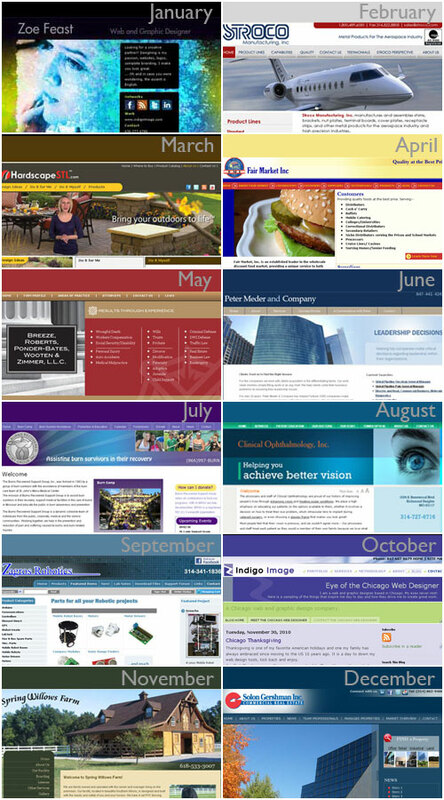 This entry was posted in Chicago Web Designer, Web Design Projects. Bookmark the permalink.